Bloody brilliant. I can relate. Wait, that’s good, isn’t it? Ahaha Why does society exemplify bad habits and character? Ahahaha! 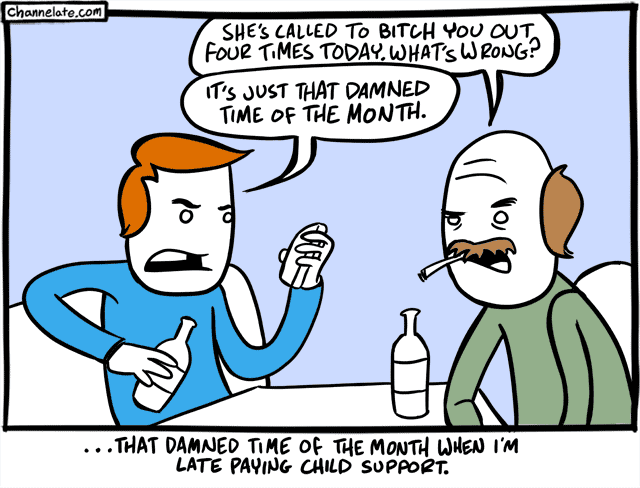 Dead beat dads, always a riot! Exactly what I was thinking lol. He doesn’t hate his kids, he just doesn’t like them as much as he likes his money. Or you could always put out an ad for Pedro Lopez. Hurry up and make another onnnneeee. I wonder if he plays ukulele, too.